The perfect partner to the Rayon Lunch Bag Made From Bamboo. 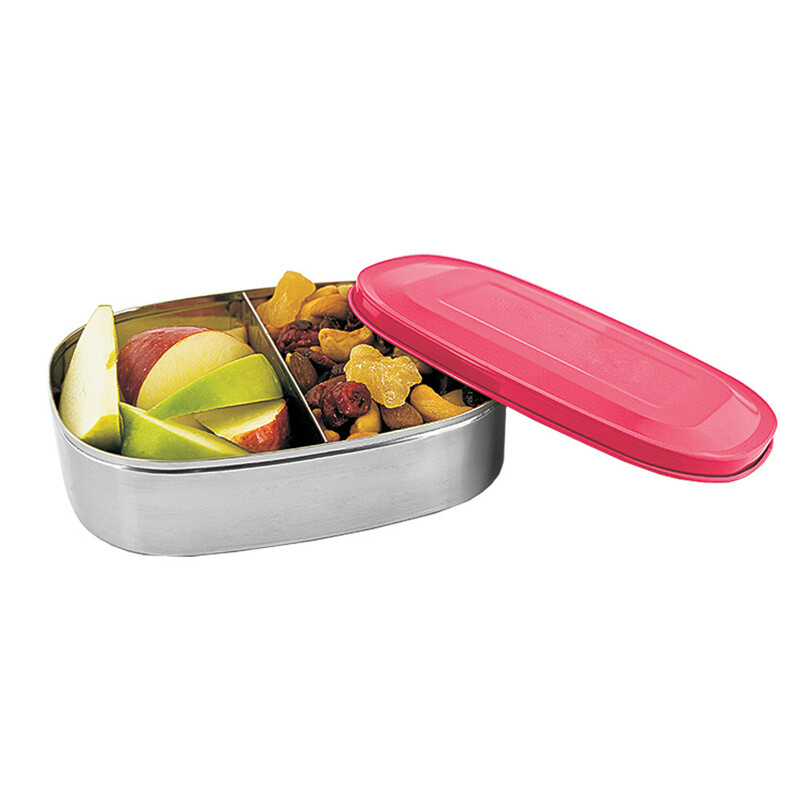 100% 304 Food Grade Stainless Steel. A non-leaching product – no chemical, no toxins, no taste. Resistant to stains and corrosion. Durable and rugged – designed for everyday use. Go ahead and throw them in your bag – they won’t open until you open them! 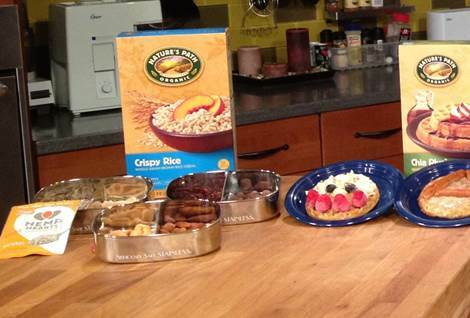 Renowned Registered Dietician Ashley Koff featured our Stainless Steel Food Containers on a segment that ran on WUSA 9 in Washington DC when discussing the importance of eating breakfast. 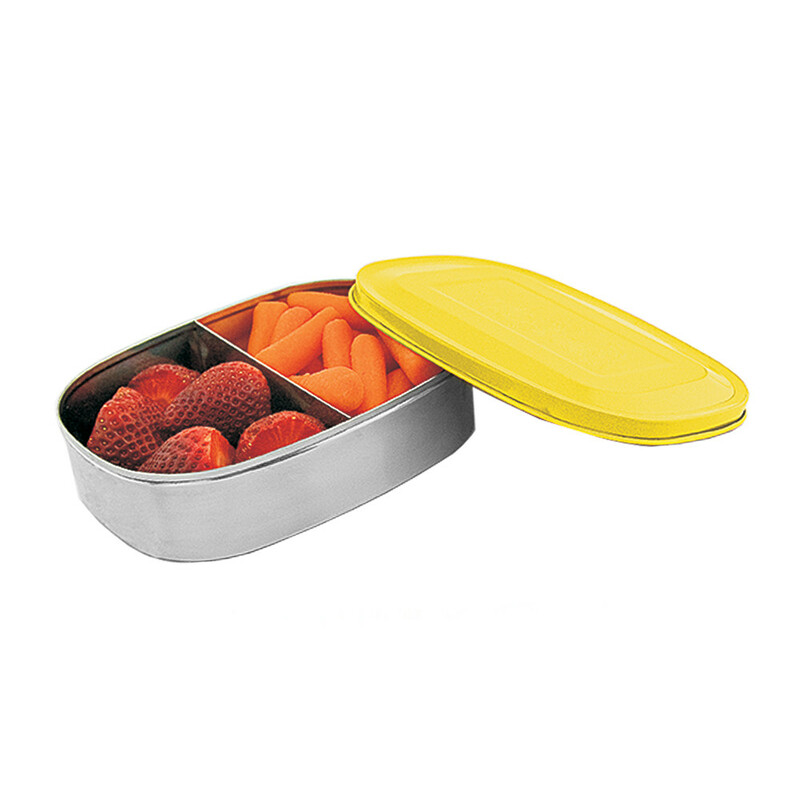 Perfect for packing a sandwich, sushi, trail mix or your favorite fruits and veggies, our all stainless steel food container is a great lunch or snacking companion. Like all of our stainless steel food containers, the tinted lid- is non-toxic and non-leaching: no chemicals, no toxins, no taste! 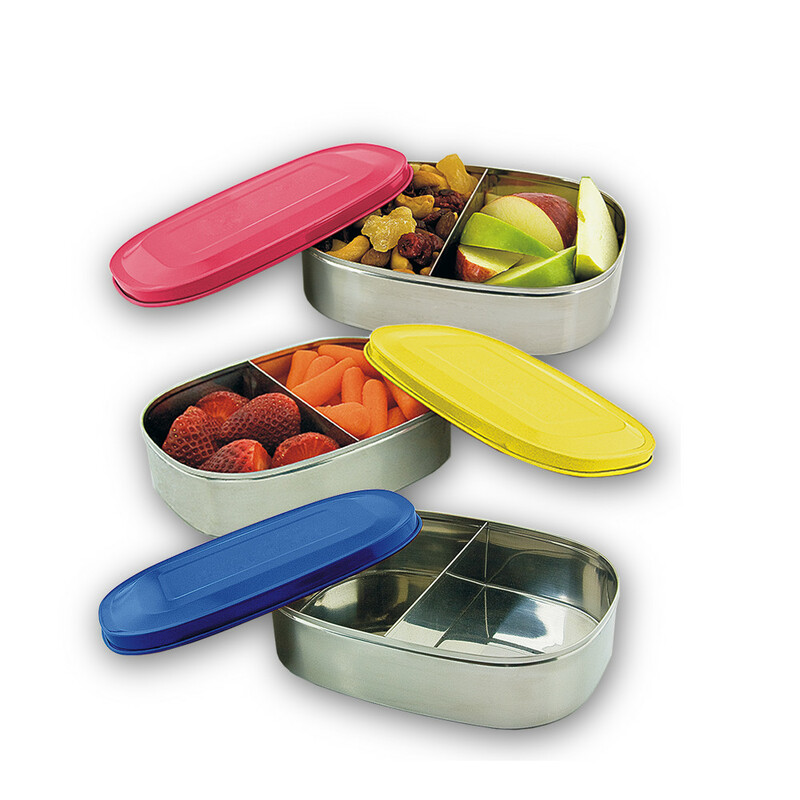 Tinted Lid Container 16 oz. 6.8 oz. 6.5 in. 4.5 in. 1.5 in. From what is the cap on my stainless steel made? The plastic on the caps for the stainless steel bottles is made from polypropylene (recycle code 5). They are BpA-free and phthalate-free. Are the stainless steel bottles or food containers lined with something? Stainless steel, unlike aluminum, does not need a plastic lining. The stainless steel bottles and food containers are made completely of #304 Food Grade Stainless Steel. From what are the lids on the tinted food containers made? The lids are #304 Food Grade Stainless Steel, too! Has the bottle been tested for lead? All of our stainless steel products have been independently lab tested and found to be lead-free. How do I wash my bottle/food container? 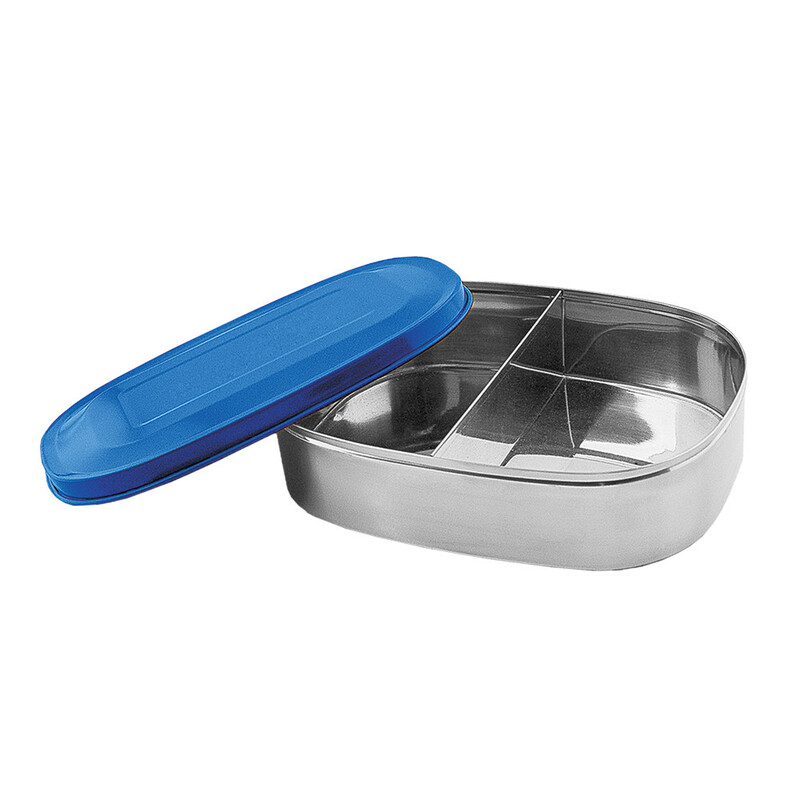 The Seriously Safe Stainless™ Steel products are dishwasher safe. We do recommend, however, that since the openings on the bottles are relatively small, that you wash the bottles with warm water and vinegar or a mild detergent. Please also be aware that if your dishwasher water temperatures get very high, it is possible for the colors on the tinted stainless steel to fade and/or chip. I lost my cap. Where can I get a replacement? All Rainbow bottles have replacement caps available.